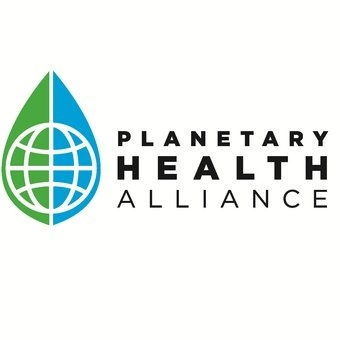 On October 17, The Planetary Health Alliance will feature three unique voices from several different traditions and life experiences — Stacy Bare, an Iraq war veteran, Founder of Adventure Not War, Co-Founder of the Great Outdoors Lab, and National Geographic Adventurer; Prathima Muniyappa, a researcher at the MIT Media Lab exploring the use of space technology to advance issues of social justice; and Andrew Nalani, a Steinhardt Doctoral Fellow at New York University designing and evaluating transformative learning contexts that support positive youth development and multicultural competence — to reflect on their personal relationship with Nature and the role of their experiences in informing that relationship. 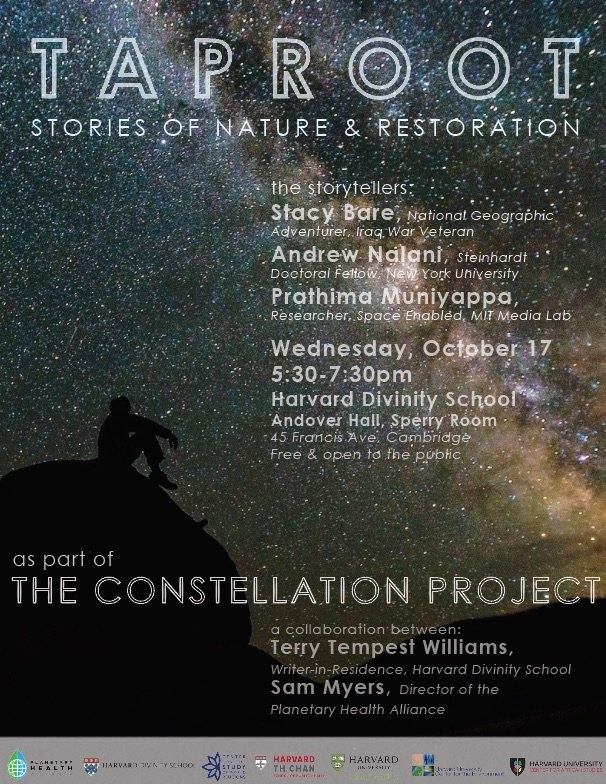 This event is part of a larger collaboration between the Planetary Health Alliance and the Harvard Divinity School called “The Constellation Project,” led by Dr. Sam Myers and Terry Tempest Williams, which brings together science, faith, arts, and indigenous communities to explore larger questions about our place in the world and imagine a better future. We see that this is an opportunity to open the dialogue about some of the deeper moral questions about how we connect with the people and places around us and see our role in the world — important considerations for any sort of lasting bottom-up change that addresses our global environmental and health challenges. What is the authority of the awe and reverence we feel in natural settings? How do we support a different narrative about our place in the world that honors an emotional/spiritual relationship to Nature and recognizes that, just as nature takes care of us, we also need to take care of nature?